A local McDonald's promotion tied with the Kansas City Chiefs offers up the "Blitz Box" for hungry football fans this NFL season. Can you eat a box full of McDonald's food? McDonald's is already gearing up for the football season and offering up plus-sized meals for hungry fans in Kansas City. The fast-food giant began offering the "Blitz Box" on Sept. 2, which includes two Quarter Pounders with cheese, two Medium Fries and 10 McNuggets for $14.99 in a local promotion with the Kansas City Chiefs, according to USA Today. 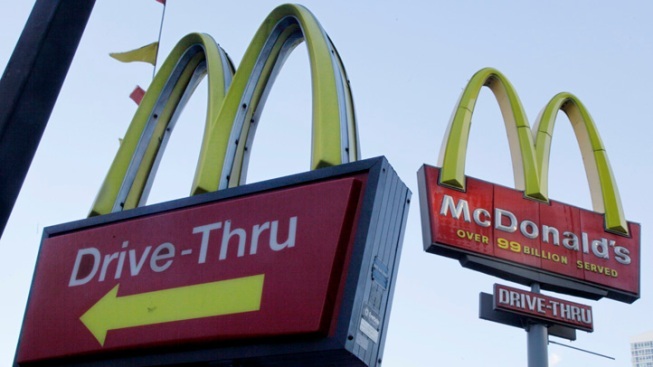 The promotion will run through the entire football season, according to a McDonald's spokesperson, who didn't say whether the promotion would expand to other markets. Burger King Introduces "French Fry Burger"
"We can't speculate on what other markets may or may not do," McDonald's spokesperson Lisa McComb told USA Today.